Featuring lavender products, from bath products to seasoning rub for cooking. Lavender has been used for many years to naturally reduce stress, improve sleep/insomnia and can also help reduce the pain of migraine headaches. Our lotion is hands down the best around. The lavender smell is mild and your skin soaks up the natural ingredients, leaving you with soft skin. You can even snap your fingers after applying! It’s the season for mosquitoes. Everything is bigger in Texas, including mosquitoes! We have mosquito spray, safe to use on kids too. Lavender is a natural mosquito repellent, they dislike the scent. 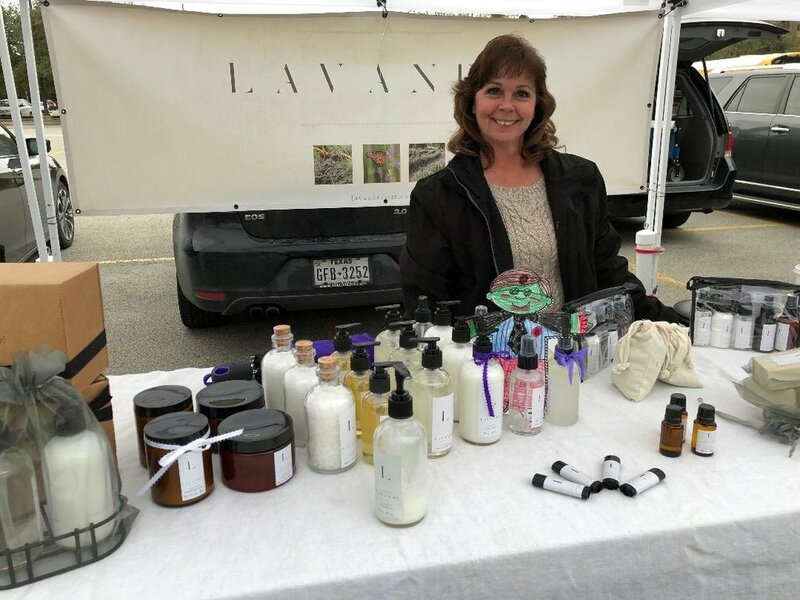 Stop by the Lavande tent at The Woodlands Farmers Market, you will not be disappointed! !